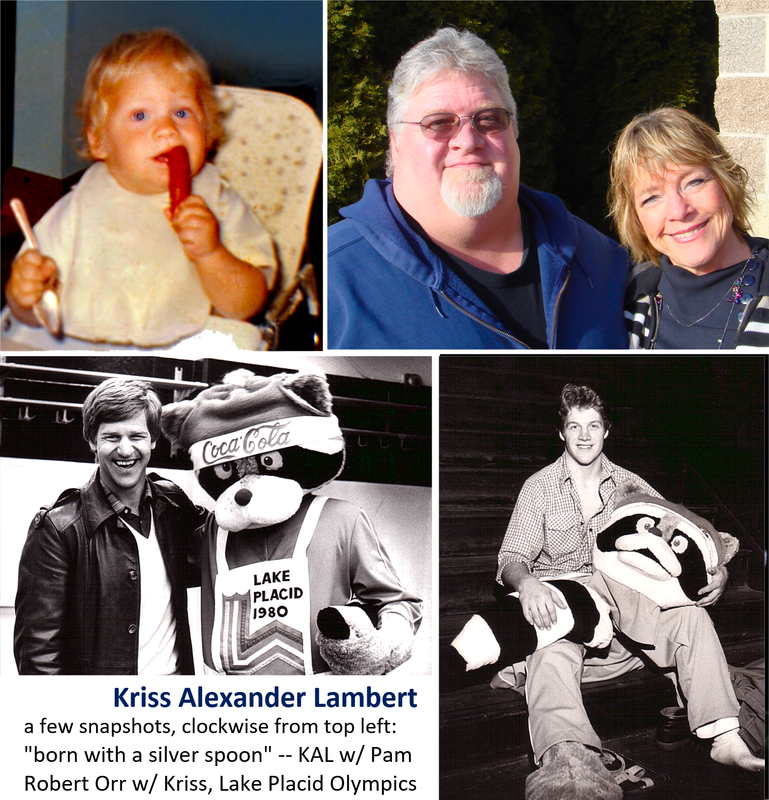 Kriss Alexander Lambert died unexpectedly at home in Puyallup, Washington this week. He was 57. Kriss was born on Cape Cod, Massachusetts, and lived & worked in Lake Placid NY, Florida & the Carribean, Oklahoma, Japan, Maui, the Kona coast, the Pacific northwest, etc. He was a serial entrepreneur with many licenses & professional qualifications. He worked many years as a ship's captain, and held a US Coast Guard 100 Ton Master license w/ 100 ton Sailing & Towing endorsements. Kriss was an accomplished musician, with many other hobbies & skills (such as woodworking), but is best remembered as outstandingly open-hearted. Friends recall "He gave good hugs!" He leaves behind his beloved & gracious wife Pam, many friends around the world, and close family in Puyallup & Washington state, in Hawai'i, on Cape Cod, in Sweden, and elsewhere. He was proud of family, and his comforting, lively home was always inviting. We each share shock & great sadness, but Kriss wanted us all to Celebrate Life. Friends of Kriss Lambert, thank you for your prayers. Perhaps in coming weeks we'll recall stories involving Kriss or Kriss-themed anecdotes: inspiring, funny, loving, goofy or otherwise. Welcome!